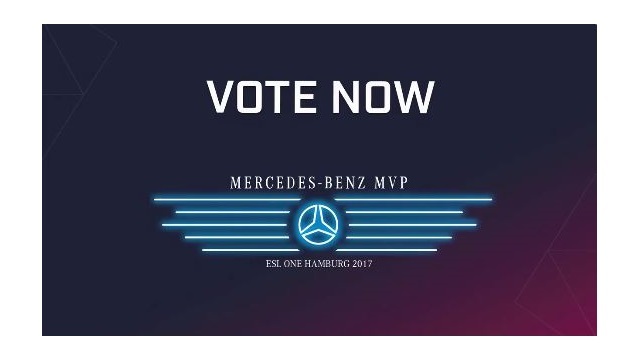 Esports fans who are following this weekend’s ESL One Hamburg event can vote for the most valuable player via Twitter direct messages. In fact, the only way fans can vote for the MVP is via the Twitter DM experience. 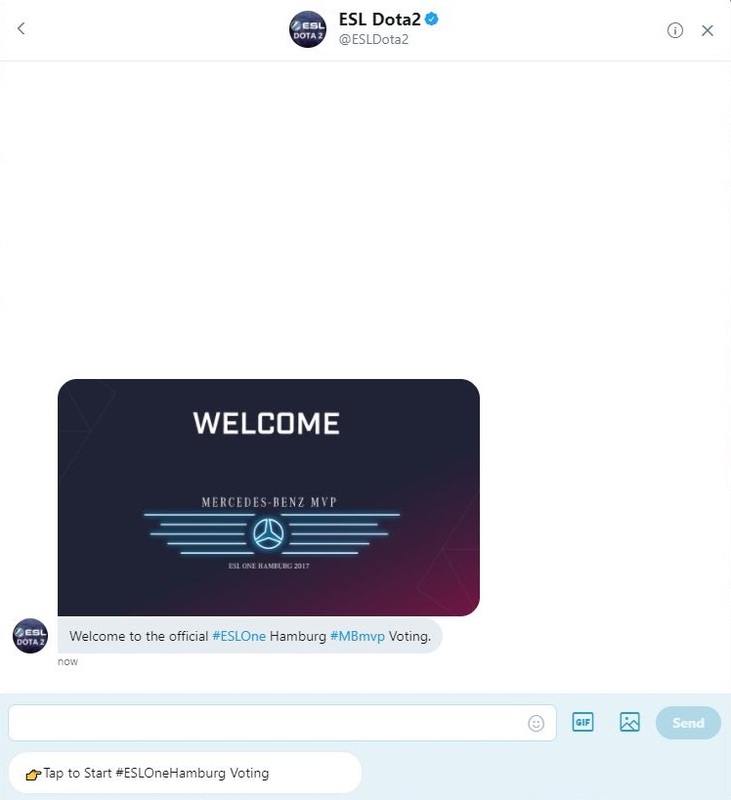 Fans can start the process via the ESL One Hamburg DM Card, or by hitting Message on the @ESLDota2 profile page. After following the DM prompts, they can choose the team and player that they feel earned MVP for the tournament. Fans can then tweet their votes, follow teams and players or view the Twitter livestream of ESL One Hamburg via @ESLDota2, @TwitterGaming or ESL.twitter.com.